Jennifer Marcus, owner of D’Clutter Design, received her B.S. in Interior Design from Indiana University. She applied her degree and passion for interiors in the retail arena where she worked for Macy’s and numerous woman’s ready-to-wear brands such as Jones New York, Rachel Rachel Roy, Anne Klein and NYDJ. Over the years, Jennifer’s friends and family always sought her out for not only advice regarding everything fashion, but also as their advisor on the home front. Whether they needed help organizing for a move, solving their clutter and space issues or reinventing their interiors, she was always the person they called. As the years went by, Jennifer realized she was happiest when she was helping others find solutions in their home environments. 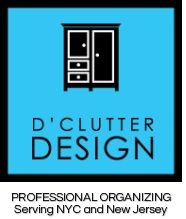 So she took a leap of faith and decided to follow her passions and start her own professional organizing and staging business, D’Clutter Design. Jennifer's goal is to help her clients find solutions in their residential environments so that they can spend more time enjoying their home and family rather than stressing over it! She believes organization means something different to every person and works with her clients to develop a plan and system that works best for their lives. Most people become overwhelmed with the task of organizing, downsizing or selling their homes and need support and direction to get it done. 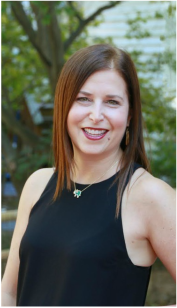 Jennifer's personal, one on one approach not only allows her clients to feel comfortable with the process but excited and accomplished when the project is complete.